MacBook Air run by a steam engine. Ancient, very long hunting rifle with the latest electronic telescopic sights. A futuristic car with the driver in brass goggles and long gauntlets. 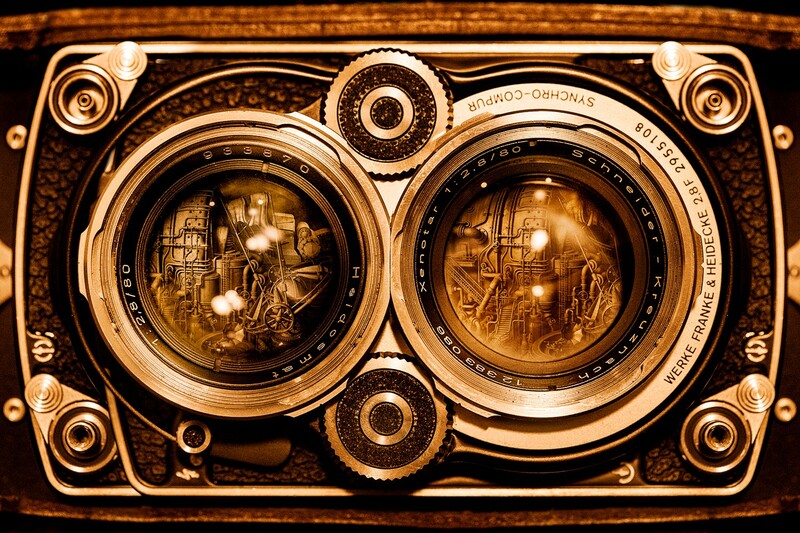 Welcome to the world of Steampunk. The relevance to the ‘Googly’ World? Because this is how the world in the West is rapidly going. A mix of manly Victorian and uber-tech. Think those heroic Victorian moustaches blending into Hipster facial topiary. Everywhere you read about how technology is the tsunami that’s already broken over industries like publishing and marketing, and now it’s sweeping away everyone’s jobs except for the elite few who get bussed in specially to their gleaming towers of the future. However, while the Steampunk movement captures how the achingly new may be here and very amazing too, it also celebrates the old ways. How they have survived world wars and centuries of change and they’ll probably survive this wave of electricity too. Consider the roof on your house. Up until the end of the 19th Century this would have been thatched with reeds. Then slate tiles and all sorts of cheap roofing came on the market and thatch became the mark of the poor. Thousands of thatchers simply went out of business — their technological time had passed. Every youngster would have been told to get into the new types of roofing or change industry. Except now thatch is a sign of affluence and in the UK alone there are about 1000 thatchers with plenty of work. It’s a tough, and very skilled job — as is the growing and cutting of the reeds — and it seems unlikely that software and a shiny white robot are going to replace those skilled craftsmen any time soon. They earn reasonable money, they get immense job satisfaction and they’re maintaining the fabric of the country. What a fantastic job. HORSES, CANDLES, VINYL — WHAT’S THE CONNECTION? In the Victorian era the gas lamps of London made the streets considerably safer, as they did American cities around the same time. But by the 1930s fluorescent and incandescent lights replaced the gas lights fairly rapidly across the cities of the US and the UK. Clearly, it was game over for the men who went round lighting the gas lamps every evening, they’d have to bow to new technology. Except there are still gas lamps in cities as diverse as London, Boston and Berlin. London still employs five men to maintain the gas lamps around Covent Garden, Buckingham Palace and other historic areas. You can doubtless think of a thousand other examples. Electric lighting means we no longer need candle-makers or candle-stick makers. So they’re all gone, right? We don’t need horses now we have cars, so there are no horses anywhere and no livelihoods to be had? And with the advent of digital recording we won’t be needing any more of those scratched vinyl LPs will we? The point here (yes, astonishingly, there is one) isn’t the usual one that future forecasts are often wrong — we’re not driving round in hover cars and having pills instead of meals. Well, most of us aren’t anyway. The point is that reports of the death of old industries have been greatly exaggerated in some cases. Let’s take a scenario. Two young Masters of the Universe are meeting for a working dinner, at which they’re going to sketch out the next Big Thing that will change the world forever. The thing is, they might. Look at the companies that have made it big from nowhere in just the last five years: Uber, Airbnb, Instagram, Snapchat. What everyone will focus on is this young pair’s vision, which they’ll play out on mobiles, tablets and other high-tech devices, in between mouthfuls of food. They may even use a pen and paper. What we’re looking at is their vision of the future, and we focus on that, ignoring our past and actually ignoring what is around us and them. Because they’re surrounded by ‘legacy technology’ that they’d be helpless without. Let’s look at that dinner again. They meet at a restaurant which is very new. Well, we’ve had restaurants and taverns for at least 2500 years and they haven’t changed in any meaningful way in that time. The ambience is quite dim, lit by candles, because owners worked out centuries ago that this is the right ambience to get people to relax and eat and drink more. It’s actually a bit like a cave. They’re seated at a table — we’ve had tables and chairs for at least 3000 years and you can make them as geeky as you like, they’re still tables and chairs. Since they’re relaxed and sociable they both have a glass of wine. We’ve been drinking fermented grape juice for not far off 10,000 years. And it looks like we’ve been enjoying ethanol (alcohol) from fermented fruit for around 10 million years. The financier-philosopher Nassim Taleb claims that he doesn’t drink anything that hasn’t been proven for at least 1000 years. That means he has water, coffee and wine, an ample basis for a satisfying diet. One of our diners, in touch with his zeitgeist, orders a quinoa salad. We’ve been cultivating and eating quinoa for around 6000 years. In fact, as Bill Bryson remarks in his epic At Home book, just 11 edible plants comprise 93% of our entire diet. They’re all been with us since Neolithic times, like rice and corn, and we stick with them. There are about 30,000 edible plants on the planet. The other young gun, in touch with his Paleo diet, goes for a flame-grilled steak. Well, we’ve been using flames to cook our meat for around 400,000 years. How many technologies do we take for granted because they don’t use electronics? How much of our past and present do we ignore? How many industries does that little canter through the meal represent, how many jobs and livelihoods going back to the dawn of time and doubtless going forward? 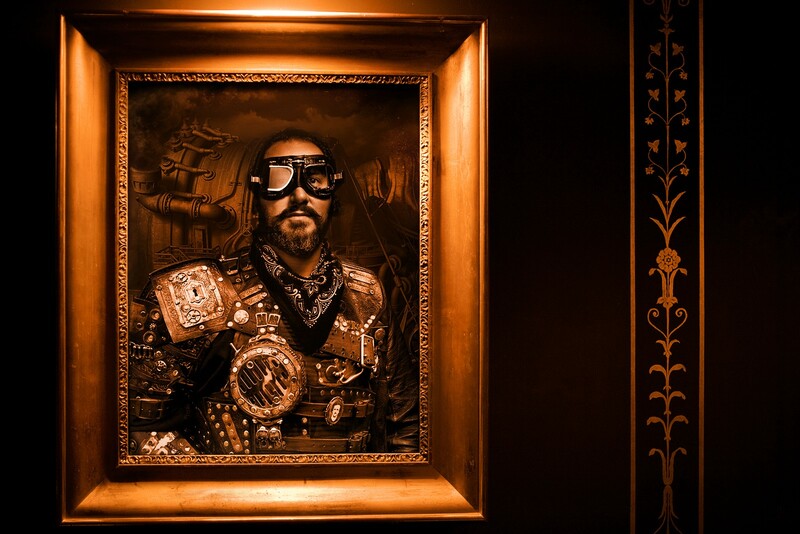 Think of the early influencers of Steampunk, like HG Wells and Jules Verne. In the most Steampunk of films, The League of Extraordinary Gentlemen, we see sleek cars driving through Victorian London streets, giant submarines at a Venice carnival of centuries ago, tanks being opposed by policemen with wooden truncheons. The world is becoming increasingly like that, and we tend to only see the shiny new devices. But everything is about context. Next time you go out, get dressed, go to a social gathering (not in that sequence please), really look around you at what’s there. The past is still with us in many ways, and if we haven’t really changed in any significant way in thousands and thousands of years, we’re probably not going to suddenly change now in any meaningful way. I find that reassuring. And in a world where there is a serious concern that the Chinese could shut down America’s power grid completely — completely — any time it chooses, my little steam engine running this MacBook Air makes even more sense. And the gentle chuffing noise is rather restful.